The character of The Flash is the famous superhero of DC Comics, an American Comics. The Flash is the story of a person who can move at the speed of lightning and take revenge for injustice happening in the town. Captain Cold, Mirror Master, and Gorilla Grodd are the three criminals that he has to deal with. However, they have interesting features to offer you during the gameplay. 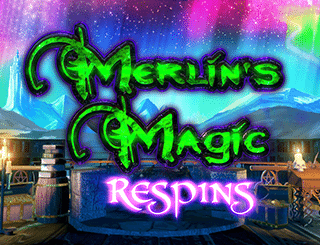 NextGen has used stunning 3D graphics technology in the game to make it one of the most visually appealing slots. NextGen Gaming has been into the industry since the year 1999. It has many wonderful story-based games like the Gorilla Go Wild and The Flash to its credit. Based in the UK, the company continuously endeavour to create games with unique gameplay and offers. 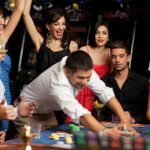 Features like SuperBet, Select-a-Play, Up Wild, and Slide a Wild offered by NextGen Gaming in their games are known to delight various players across cultures by providing unique gameplay dramatic enhancements. The wild of the game is The Flash symbol and it can yield the highest line payout of 10,000 coins to the player. When a payline is formed using the wild icon, the win amount is tripled. NextGen Gaming has purposely made this game with more than the average number of paylines. 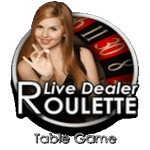 50 paylines in the slot offers you a greater probability of generating a winning payline. 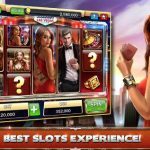 NextGen Gaming is known to put unique gaming feature in their slots. One of the features is the Bonus Bet feature. This can be activated through the bet button of the slot machine, and it adds 10 more coins to your stake. Also, through this, you are made available the Rogue Feature of the game. The wild multiplier becomes x5 during the bonus bet feature and the scatter wins are also higher. Bonus Bet naturally increases the RTP of the slot. 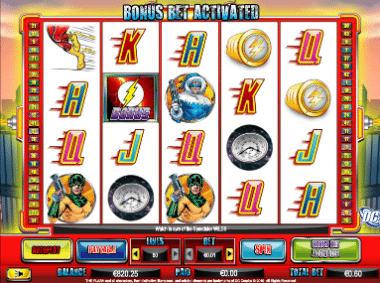 The Rouge Feature allows 12 free spins when three or more scatter symbols of The Flash are found on the reels. The wild multiplier is x10 during the free spins and you are made available the bonus features of Captain Cold, Mirror Master, and the Gorilla Grodd . Captain Cold offers freezing expanding wilds with a free re-spin. 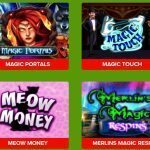 Mirror Master makes you revisit your last 4 free spins. The game is well depicted over a story line and it is interesting to relate the characters of the story and actually play with their features. 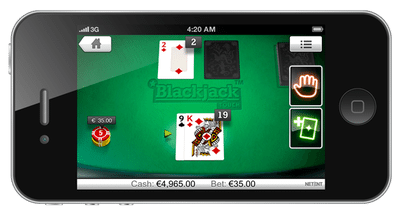 The bonus features are well designed in the game and indulge the player to bet more into the slot. 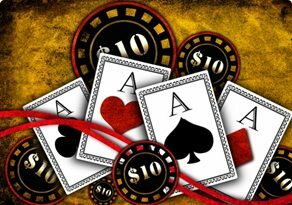 The feature of Bonus Bet is strongly recommended to increase the level of payouts that you can draw from the game. 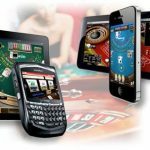 To sum up, The Flash is another brilliant addition to the array of slot games in the casino industry.